Congrats to “I Killed” raffle book winners: Ethan McFarland & Tristan Streetman! My final stop at Joint Base San Antonio is Randolph AFB. 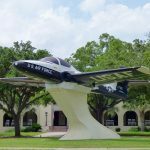 Named after Captain William Millican Randolph, this base serves as headquarters of the Air Education Training Command (AETC) as well as the Air Force Personnel Center (AFPC) and is known as “the Showplace of the Air Force” because of the Spanish Colonial Revival Style architecture. 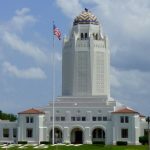 With its distinctive architecture, the wing’s headquarters has come to be known throughout the Air Force as “the Taj Mahal” or simply “The Taj”. I will be at the Fleenor Auditorium at 1330 on Friday 7 December. See you there! Great show! Thank you for allowing me to be the narrator for the event.